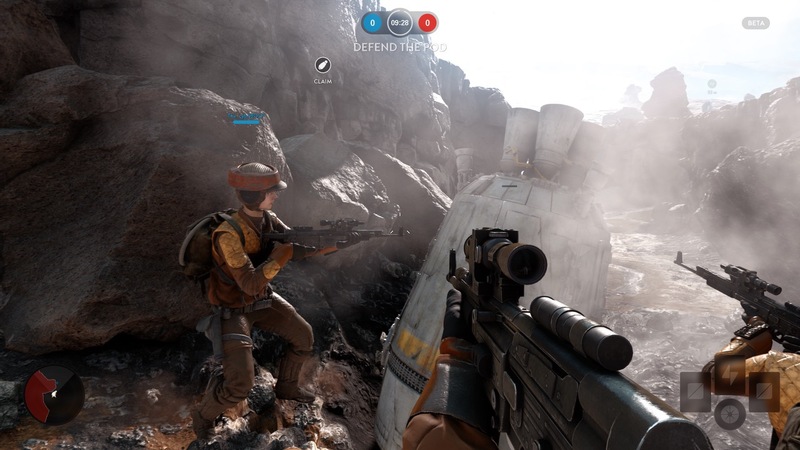 Last week, EA Dice kicked off the open beta for Star Wars Battlefront on PC, PS4 and Xbox One. While the PS4 version runs at 900P, the Xbox One version runs as 720P. The difference in resolution has once again caused some uproar in the community. 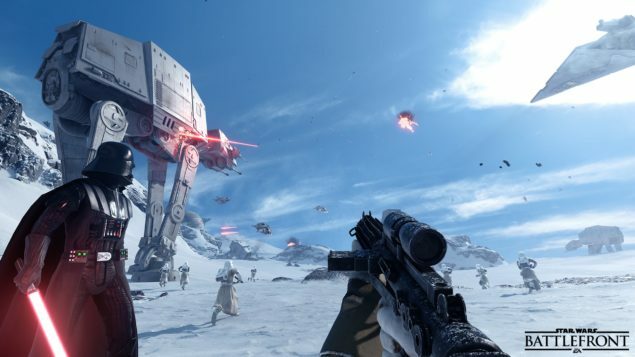 Star Wars Battlefront uses the Frostbite 3 engine to render its visuals, and on Twitter the engine’s technical director, Johan Andersson, explains why DICE chose to run the shooter on lower resolutions on both consoles. Andersson also answered a question about using adaptive resolution, and the use of the TAA option in the beta. Battlefront is a great looking title on all platforms, and seems to be well optimized. However, especially the Xbox One version is experiencing more aliased edges, and a higher level of shimmering on fine distant detail. According to Eurogamer though, “If you can look past Xbox One’s lower resolution, the actual content of the game is identical to PS4, and a decent match for PC’s high graphics settings. It means texture and shadow quality are the same between both consoles”. Both the PS4 and Xbox On version are aiming for 60FPS and both versions stick to that number on most occasions. EA could have easily opted for a higher resolution in favor of the game’s framerate, but this isn’t what DICE was aiming for according Andersson. According Andersson, the team didn’t want to sacrifice the visual fidelity and framerate of the game, for resolution. The technical director adds that this is a choice that every development team makes. Andersson was also asked why DICE didn’t implement the use of an adaptive resolution in areas where the FPS is smaller than 60 FPS. The technical director replied that the team did think of using the technique, but didn’t implement it due to the fact that it can be extra complex, combined with the temporal techniques that DICE is using. Adaptive resolution is a technique that is used in recent Xbox One titles as The Witcher 3 and Advanced Warfare. The upcoming Halo 5: Guardians will also be making use of the variable resolution technique that maintains a stable framerate. For Advanced Warfare, the use of the technique delivered a more consistent framerate on the Xbox One, than the PS4 did. In general, you could argue that this technique would have been viable for the Xbox One version of Battlefront as well, but I guess we have to do with Anderson’s explanation. Now that we’re talking resolution, the technical director also mentioned the use of Battlefront’s temporal anti-aliasing option (TAA), which option hasn’t been configured properly in the beta yet. The TAA “GstRender.Antialiasing 4” option in Battlefront would improve the visual fidelity on PC even more. It’s a technique only used by certain newer graphic cards, and makes use of a lot of different techniques to make edges appear even smoother. As said, this option isn’t fully tweaked yet, so expect even smoother visuals when properly configured in the final version of the game (if your gfx card supports it).